There are few views like the Detroit skyline over into Canada. And there are few places in the U.S. where you can stand in one country and look over at another. It’s not simply the sight of our foreign neighbor that makes a visit to the riverfront worthwhile. The Detroit RiverFront Conservancy celebrated its 10th anniversary in 2013. That’s 10 years of turning stretches of the riverfront into an attractive place for walking, biking, relaxing and refreshing. Biking or walking are great ways to experience the 3 miles along the Detroit RiverWalk, and the 1.5-mile Dequindre Cut, a former railroad track turned artistically adorned trail. It’s an ideal destination for camera buffs and visitors looking to get in a brisk walk or run while in town. There is free parking in a lot at Atwater and Rivard. For more information, go to http://detroitriverfront.org. 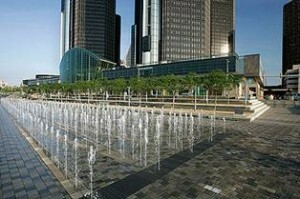 Start your Detroit tour at DIA, the city’s crown jewel. 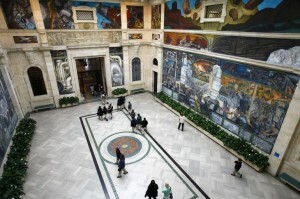 The Detroit Institute of Arts opened at its current location, near downtown, in 1927, during the post–World War I auto-industry boom that made Detroit one of the world’s wealthiest cities. The museum’s Beaux Arts building is massive, with more than 100 galleries, but if you choose carefully among the collections, you can be in and out in two hours. Check out the works by Degas and Cézanne and the collection of pieces by African-American artists; also, definitely see Diego Rivera’s expansive mural known asDetroit Industry. Finally, spend a few moments to reflect in the Kresge Court, an inner courtyard and café. DIA locates you in the center of Detroit’s cultural scene, and there are other museums worth visiting in the area, including the Charles H. Wright Museum of African American History, which houses the world’s largest exhibit on African-American culture. For lunch, walk — yes, people walk in Detroit, at least in this neighborhood — to a popular creperie nearby, Good Girls go to Paris, or check out Wasabi Korean & Japanese Cuisine in the same building. Created as a park by Olmstead in the 1880’s, Belle Isle offers amazing views of nature, as well as swimming and picnicing areas. There’s an area just past the bridge to the island where you can stand and snap a selfie with part of the U.S. and part of Canada in the background. The aquarium, which is the nation’s oldest, is open 10 a.m.-3 p.m. Saturdays. 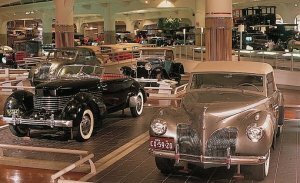 The Henry Ford Museum is a large indoor and outdoor history museum complex and a National Historic Landmark in the Metro Detroit suburb of Dearborn, Michigan, USA.] Named for its founder, the noted automobile industrialist Henry Ford, and based on his desire to preserve items of historical significance and portray the Industrial Revolution, the property houses a vast array of famous homes, machinery, exhibits, and Americana. The collection contains many rare exhibits including John F. Kennedy’s presidential limousine, Abraham Lincoln’s chair from Ford’s Theatre, Thomas Edison’s laboratory, the Wright Brothers’ bicycle shop, and the Rosa Parks bus. Nearly one hundred historical buildings were moved to the property from their original locations and arranged in a “village” setting. The museum’s intent is to show how Americans lived and worked since the founding of the country. The Village includes buildings from the 17th century to the present, many of which are staffed by costumed interpreters who conduct period tasks like farming, sewing and cooking. A collection of craft buildings such as pottery, glass-blowing, and tin shops provide demonstrations while producing materials used in the Village and for sale. Greenfield Village has 240 acres of land of which only 90 acres are used for the attraction, the rest being forest, river and extra pasture for the sheep and horses. The Wright brothers’ bicycle shop and home, which was bought and moved by Henry Ford in 1937 from Dayton, Ohio. A replica of Thomas Edison’s Menlo Park laboratory complex from New Jersey. Its reconstruction started in 1928. The buildings were laid out according to exact foundation measurements from the original site. It was furnished with original or faithful duplicates, all placed as they were originally. Henry Ford’s birthplace, which was moved from Greenfield and Ford roads in 1944. Henry Ford had it furnished exactly as it was during his mother’s time. Harvey Firestone family farm from Columbiana, Ohio, which was given to the Village by Harvey’s two remaining sons in 1983 to perpetuate their father’s memory. It took over two years for the dissembling and rebuilding process and has been operated as a working sheep farm since 1985. The Logan County, Illinois courthouse where Abraham Lincoln practiced law. Ackley Covered Bridge, a 75′ wooden covered bridge, built in 1832 over Enlow Fork along the Greene – Washington County line in Southwestern Pennsylvania and removed to the village in 1937. Cape Cod Windmill, also known as the Farris mill, is considered one of the oldest in America. It was originally built in 1633 on the north side of Cape Cod. It was moved several times around Cape Cod until it was gifted to Henry Ford from the Ford Dealers Association, and installed in Greenfield Village in 1936. 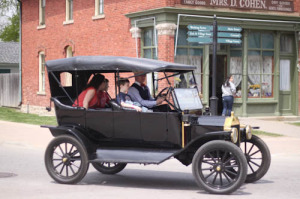 A transportation system provides rides by horse-drawn omnibus, steam locomotive, a 1931 Model AA bus (one of about 15 known to exist), and authentic Ford Model Ts. The Weiser Railroad is a standard gauge passenger train that travels around the perimieter of Greenfield Village and has four stations. The auto industry remains central to Detroit’s economic and cultural identity. 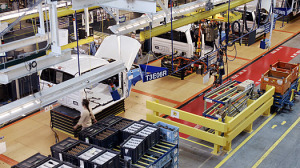 To understand the industry’s rise, take the Ford Rouge Factory Tour in Dearborn, Mich., less than a 20-min. drive southwest of Detroit. The factory that Henry Ford built along the Rouge River was the scene of the Battle of the Overpass, a key moment in the rise of American unions. You’ll get a peek at a Ford F-150 truck’s assembly line and a set of classics like the 1965 Ford Mustang. If you’ve got a half hour to spare, watch two short films about the plant’s history. In the summer, it’s smart to get a reservation for the tour. Also while you are in Dearborn, check out some of the shops. This suburb of Detroit is the country’s Middle Eastern capital, and there are plenty of Lebanese and Yemeni restaurants and bakeries, especially along Michigan and Warren avenues. 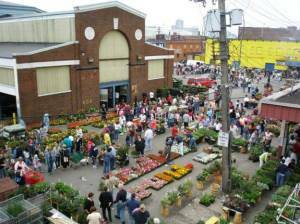 On Saturday mornings, especially during summer, Detroit’s Eastern Market teems with people buying fresh apples, blueberries and roses from farmers who have driven here from across the Midwest. The Easten Market is almost like a town square — one of the few places a cross section of folks from the region regularly gather. On one side of the market, there’s R. Hirt Jr. & Co., one of the best places to pick up fresh-cut meat and gourmet cheese. On the other side is the Russell Street Deli, whose breakfast — omelets, pancakes, etc. — draws a crowd, especially on weekends. Don’t forget Detroit’s music legacy — it’s the hometown of Aretha Franklin, Diana Ross and Madonna. The Motown Historical Museum, near Detroit’s downtown (right next to Henry Ford Hospital where Caroline works), is where Berry Gordy Jr. built Motown’s powerful roster, which at its peak included Diana Ross and the Supremes, Stevie Wonder, SMokey Robinson, Marvin Gaye and the Jackson 5. There, you’ll see Motwon’s first recording studio, known as Studio A, and one of Michael Jackson’s hats. This Art Deco office building is one of Detroit’s architectual gems. Designed by architect Albert Kahn and built in 1928, the Fisher Building was supposed to have a second tower, but the Great Depression nixed those plans. At the time, the now defunct Detroit Times wrote, “The tower will be to Detroit what the Eiffel Tower is to Paris.” Today, there are several restaurants, cafes and shops on the building’s first floor, as well as the Fisher Theatre, which shows many off-broadway productions. In the lobby, be sure to look up at the ornate ceiling. Some 40 artisans are responsible for the intricate painting, tile and glass and marble work on the ceilings and walls of this building dating to the 1920s. Greektown — so called because it was home to Greek immigrants throughout much of the 20th century — is one of Detroit’s livelier neighborhoods. 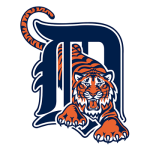 It’s got a bundle of casinos, cards and restaurants, whcih get espiecally crowded right after Red Wings and Lions games. The neighborhood’s most popular attraction is the Greektown Casino. Fishbones is a great restaurant to visit with a lively atmosphere if you are in the area.